The Safari ARMAX ‘X Series’ Engine Control Unit (ECU) is designed to work harmoniously with your vehicles OE Engine Control Unit resulting in more power, more torque, better throttle response, less fuel consumption and less turbo lag. This is all backed up by Safari’s sophisticated engine protection systems which are constantly live monitoring your vehicle for total drivetrain safety and ultimate reliability. The ARMAX ECU has 5 pre-calibrated maps for all user conditions but can be altered to suit specific applications. The plug and play wiring harness makes installation quick and easy and vehicle specific mounting bracketry complements the installation. 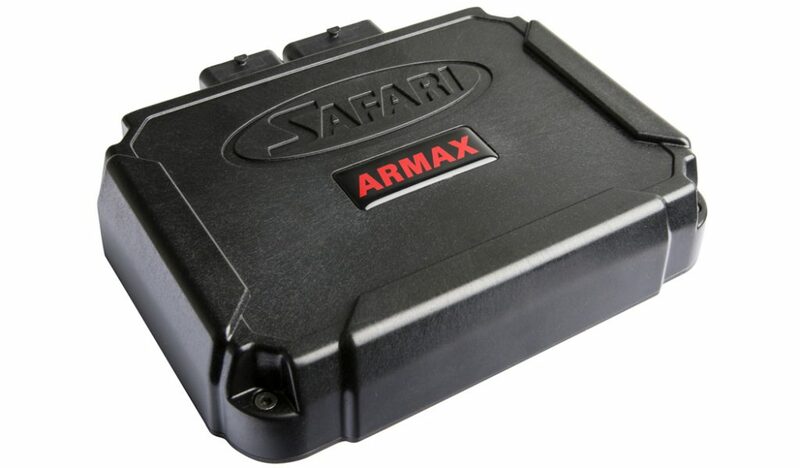 The Safari ARMAX ‘X Series’ ECU is the total package, no upgrades required, no additional units needed. It is a total system solution specifically designed for your 4×4 vehicle. The ‘X Series’ ARMAX ECU increases the open duration and the injection timing point of the fuel injector, allowing more diesel fuel to enter the combustion chamber. Due to the increase in fuel, the boost pressure the engine receives from the turbocharger is increased, optimizing the air fuel ratio. The result is increased engine power, torque, and better throttle response. The ‘X Series’ ARMAX ECU blends seamlessly with the factory ECU due to its ability to sense engine load from multiple sources such as Engine RPM, Manifold Pressure, Fuel Pressure, Throttle Position and Exhaust Gas Temperature. From here the ECU very precisely calculates the engine load and accordingly adjusts the parameters to meet the pre-calibrated demand. The Safari ARMAX ‘Z Series’ Engine Control Unit (ECU) is designed to work harmoniously with your vehicles OE Engine Control Unit resulting in more power, more torque, better throttle response, less fuel consumption and less turbo lag. This is all backed up by Safari’s sophisticated engine protection systems which are constantly live monitoring your vehicle for total drivetrain safety and ultimate reliability. The ARMAX ‘Z Series’ ECU has 3 pre-calibrated maps for all user conditions. 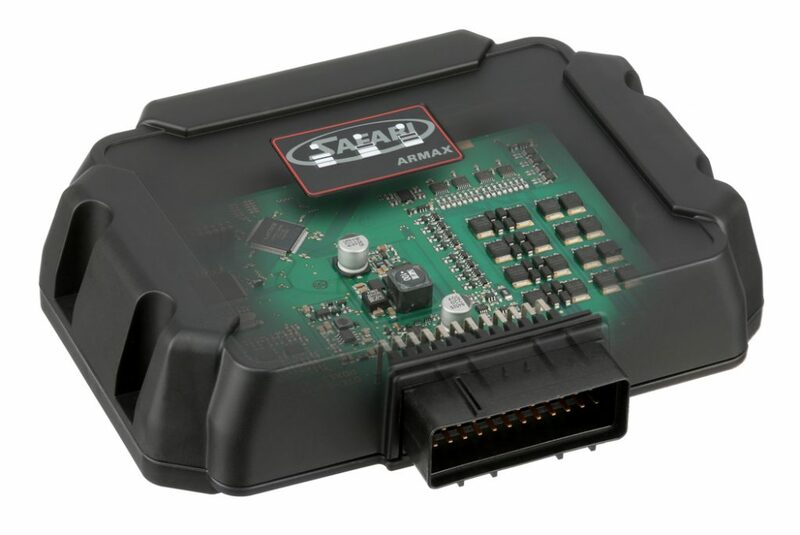 The Safari ARMAX ‘Z Series’ ECU is the total package, no upgrades required. It is a total system solution specifically designed for your 4×4 vehicle.